I carry the burden of introspection. I carry the cultures and lives I have been a part of. We are constantly looking to identify our ethnicity and acknowledgement of belonging. When I was growing up in the middle east, I was awkwardly attempting to learn more about India, my ‘motherland’. I went to an Indian syllabus based school, hung out with the most popular girls who seemed to have it all and binge watched Indian movies to see and learn as much as I could. To get it right, somehow. But I was a coconut; white on the inside and brown on the outside. The casual statement ‘how would you know, you are not a REAL Indian’ will haunt the aftermath of my continuous path to self realization. 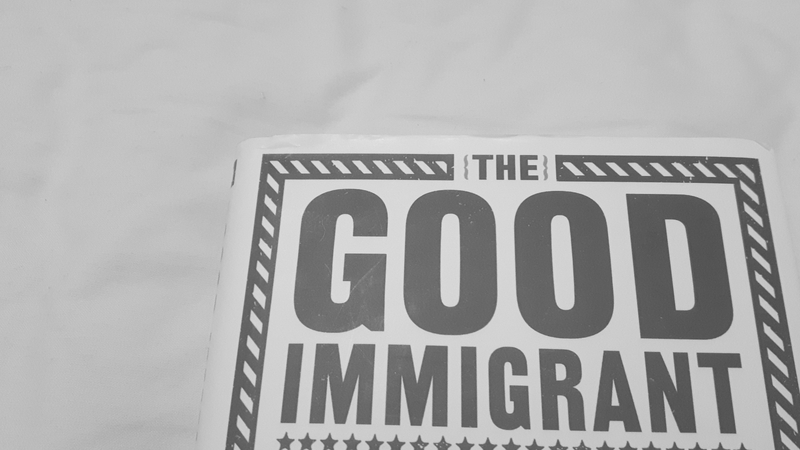 Recently upon reading ‘The Good Immigrant’, I got thinking. Here we all are, questioning who are we and where are we going. But we stand together, as a group of people who have been hurt or lost, in one way or another. This year, I had to renew my Tier 2 visa UK work permit. And it hurt. It hurt a lot, to answer questions and suppress the desire to constantly apologise to everyone in charge of the visa application. I heard it in their voices and I saw it in their eyes. I had to apologise. I do not blame or accuse people for their ignorance of what it is like to feel like an immigrant, but I am jealous because it is truly bliss. Coming to a country and steal jobs from the other deserving native people is apparently what we do. I apologise. And yet you run into an odd person who would like to share their views on how difficult it is for people from countries like India and Pakistan, to get a visa. Thank you. Again, I apologise. I see an elderly white man shout out ‘muslim shoplifter’ to an asian woman wearing a headscarf cause she is walking out of Zara, carrying a shopping bag. I am so sorry. The sorrow and guilt we carry binds us together, that is what makes us feel alive and empathetic. I wish I had answers for where we are going, but I can tell you who we are; We are Immigrants. A writer who had the most impact on me and whose words I remember, is Warsan Shire. Here’s an excerpt from a poem called ‘What they did yesterday afternoon’. Oh boy, I’m so happy I have the wonderful privilege to share posts like these with you guys. Prithvi, for those of you who don’t know, is one of the five lovely girls I live with. She’s actually on this trip to India with me but deserves some comment love none-the-less so let me know your thoughts below. She is sans Twitter – working on that fam ;) – but she has just started her first blog, so go follow.